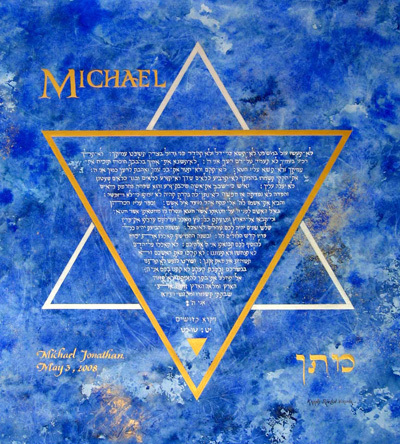 The Bar Mitzvah Torah reading Parashat Kdoshim written with white on blue sky background and , made by the artist, designed to fit the "Star of David". The star of David made with gold and silver paint. Ink: Watercolour, Gouache, and Dry Pigments. Other texts available as well as a Ketubahs.